Marcus Fraser and Nacho Elvira hold a share of the lead after the opening round of the Maybank Championship in Malaysia. 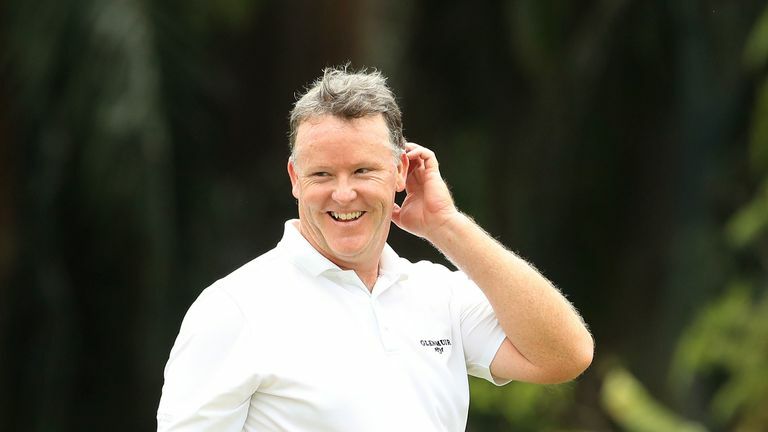 Fraser - a former winner of the event - mixed eight birdies with a sole bogey to set the clubhouse target at Saujana Golf and Country Club, only for Elvira to match his opening-round 65. Matthias Schwab, Thailand's Jazz Janewattananond and Angelo Que - who threatened a 59 round - all sit a shot off the pace, with Thomas Pieters in the group two back after a five-under 67. Beginning on the back nine, Fraser birdied two of his opening four holes and cancelled out a blemish at the 14th with gains at the 15th and 18th to reach the turn in 33. Fraser picked up shots at the first and fifth before following a 20-foot birdie at the seventh with another at the next, as Elvira made five birdies in a six-hole stretch around the turn to also get to seven under. Que looked set to shoot a sub-60 round when he birdied nine of his opening 11 holes to move top of the leaderboard, only to post back-to-back double-bogeys from the 15th and birdie the last to end the day on six under. European Ryder Cup captain Padraig Harrington, making his first appearance of 2019 after recovering from a wrist injury, opened with a two-under 70. "I didn't hit it very well, especially off the tee I really struggled," Harrington said. "It was a really good score at the end of the day, even to come off the last couple (of holes) thinking I might have made one or two more putts." Watch the Maybank Championship throughout the week live on Sky Sports. Live coverage continues on Friday from 5.30am on Sky Sports Golf!